The 2017 Subaru Outback is a do-it-all SUV that will take your street and off-road adventures to new heights. This year, every model now comes with standard alloy wheels. There's also a new Touring trim that features enhanced styling elements, making it a perfect pick for those who seek a ritzier Outback. Whether you're headed to work or down an unpaved path in the wilderness, the Outback is ready to tackle all your outdoor excursions. Keep reading our 2017 Subaru Outback review to learn more about this dynamic vehicle. You'll have plenty of choices when it comes time to choose the new Outback that's right for you. 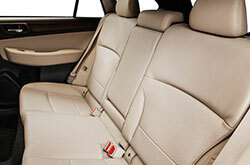 It is offered in six well-appointed trims: 2.5i, 2.5i Premium, 2.5i Limited, 2.5i Touring, 3.6R Limited and 3.6R. If you opt for a Limited or Premium model, you'll get rear privacy glass, heated exterior mirrors and foglights. Their cabins are outfitted with a leather-wrapped steering wheel, an eight-way power driver seat and heated front seats. The Limited adds leather upholstery, as well as keyless entry and ignition. You'll be hard pressed to find a single 2017 Subaru Outback review that doesn't praise the vehicle's entertainment and connectivity technologies. 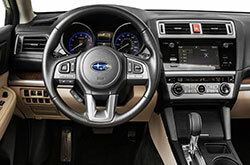 They include Subaru's "Starlink" 6.2-inch touchscreen, a four-speaker sound system, Bluetooth, smartphone-integration apps and a USB port as standard. A 2.5-liter four-cylinder engine propels the 2017 Subaru Outback in Kansas City forward. It's good for 175 horsepower and 174 pound-feet of torque. However, if you're looking for more power, then the 3.6-liter on the 3.6R models is the way to go, as it pushes horsepower to 256. All new Outbacks come with a continuously variable transmission (CVT). The 2017 Subaru Outback is now at Van Subaru. Stop by today to take the popular SUV for a test spin! 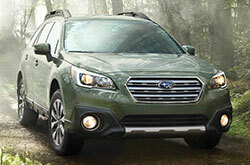 Want to Read More Info About the Subaru Outback? Considering a new car finance in the Kansas City area? If so, don't just view the 2017 Chevrolet Equinox, Volkswagen Jetta SportWagen and the Volvo V60; be sure to examine the attractive 2017 Subaru Outback in addition to these options. You may find that it is a clear-cut match for you, with its rakish looks and deviceful cabin features. 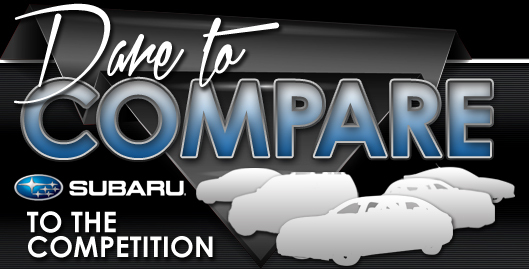 After you are concluded with our 2017 Subaru Outback review and test out the comparison tool, view OEM financing incentives offered at Van Subaru. 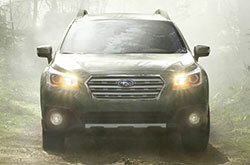 To see a desirable selection of cars, come to us to find finance offers on the peerless Subaru Outback. To make an educated purchase, it's crucial to look at 2017 Subaru Outback reviews; we have made it our job to help with this by providing the details and specs you right on our site. 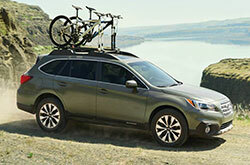 Scan through our vast selection of Subaru Outback models online. Then visit Van Subaru for a test drive. Would you like a chance to see it before your visit? Not a problem - watching the enclosed video clip will give you a peek at its full design from all ends.